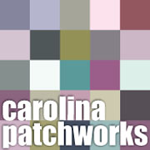 Once upon a time I wrote a pattern and gave it the silly name of Mrs. Roy G. Biv. Before the pattern was even published (almost exactly two years ago! ), I had approximately 2,394,299 other ideas for quilts in a similar genre. So I wrote a proposal. It’s all about color. And scraps. And the cool things you can do with scraps. Remember my 119.8 pounds of scraps last February? Well, does this explain that now? (Can we talk about my love of this photo (taken yesterday in Seattle)? All my stuff went to C&T for this book while still in Raleigh. Like no joke, the boxes went to UPS a couple days before the packers showed up. I DO NOT recommend having book deadlines the same week as movers coming to your house — just a little tip!) I also found out that the Goretex in my new shoes works really well! Right when I was taking this picture, the waves really kicked up (wind? boat? who knows…) and my pants got soaked but my feet stayed totally dry! And if you don’t have enough scraps? Well, conveniently enough, each project also includes instructions on how to make that same spiffy quilt from just plain-ole-yardage-from-the-store. 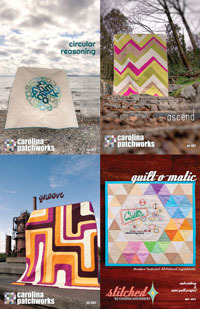 Popular patternmaker Emily Cier sews up all the colors of the rainbow in her second collection of all-new patterns that include wallhangings and lap quilts. Divided into sections for the “little stasher” or the “big stasher,” this book gives separate cutting instructions for working with all scraps, or with all new fabrics. 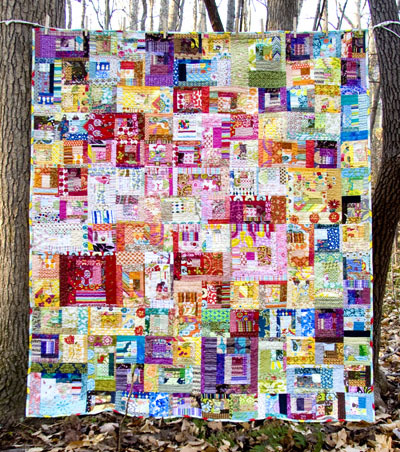 Emily brings a modern aesthetic to patchwork blocks with a joyful jolt of color! Stop by Booth 1740 at SLC Market to see more from the book. And how about some previews in August/September? Sound good? Right now, I should get back to reviewing the Pages which is C&T-speak for the last look-see of the book. It’s uber-ly gorgeous inside. Promise. A little more bean-spillage tomorrow! Yay! This is fun. So pretty! The bottom looks like it was taken from West Seattle looking back over the water toward downtown. I have no idea where you are in Seattle. Nor do I know where your quilts are popping up, however, I do know that I’m LOVING every second of it! I’m stoked to see the book! So exciting! What great pictures! Being a Seattlite, I just love them! Such a great setting! Your book sounds terrific! Looks wonderful! I love the photos! congratulations!! I’m so excited to get my hands on your next book! Good luck getting ready for market! I’m looking forward to your book release. It looks great. How fun! So excited for this book. 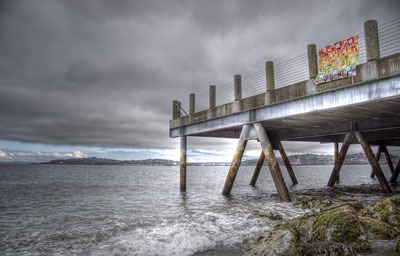 I have to say, handsdown, the photo of the quilt on the pier is the coolest photo of a quilt ever. That photograph is amazing on so many levels. nice job! That is so cool–congrats! 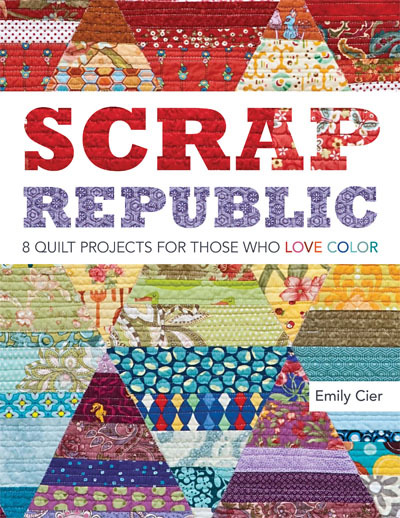 Can’t wait to get my hands on a copy–I live for scrap quilts! I have been in the process of making Mrs. Roy G. Biv for some time now….it’s coming along nicely. I look forward to the book! Congratulations! I adore your Remix book, so I will be excited to get my hands on this new book of yours when it comes out. Dear Emily, congratulations on your great success! I have already 5 designs and your book from Amazon. Everything is perfect and I look forward to the next edition of the book. It occurred to me that the first photo is taken at Alki Ave SW Luna Park Ho. Beautiful day … I wish Blanka. I am in awe of these photos and of these quilts!!!!. They make me smile 🙂 and today that is a very good thing…..
OMG that photo IS REALLY amazing! I’m so excited about this book and looking forward to seeing you at Market!! Wonderful photos and the quilts are so interesting! Can hardly wait for the book!